I borrowed this article because it offers history behind the holiday. We give holidays and monuments to wars. We market the glory of battle to encourage families to donate their children to the government. The government then returns these children in various conditions, dead or alive. The passion of defending one’s homeland has been exploited every time. Sometimes it is true. More often it is NOT. Wars to “save” a population from savagery is noble at best. Covert operations are much less expensive in human capital and often more efficient economically. If a nation must enter conflict with another, make certain the reasons are valid. I really don’t know how that can be since governments control what their populations are told. Media is complicit, especially today. Media is controlled by corporate marketing interests. Those same interests control governments and profit from war. This is not new. I just wish it was over. This is where 2008 has not demonstrated an evolution of intelligence. The Cost Of War robs the world of its ability to pay the price of civilization. Learning to live WITH this planet is a much more noble cause than depopulating the planet of human life. At least know what this holiday is about, and remember its victims with gratitude, because they did not question their government … they trusted it. More often than not, ham-handed politics have led to the conflicts in which our soldiers have sacrificed. We celebrate Veteran’s Day when we do because World War I ended on Nov. 11, 1918, at 11 a.m. — at the 11th hour of the 11th day of the 11th month. That futile, bloody war could easily have been averted. Its aftermath led, a bit more than 20 years later, to an even wider World War II. In Russia, bled dry by the war, Bolshevism replaced shaky democratic governance. A good case can be made that World Wars I and II were the same war. A punitive Treaty of Versailles, punishing Germany, gave rise to Nazism and the crazed leadership of Adolf Hitler. Early in the 20th century, major European and Asian powers vied for regional and colonial power. That contest was left unresolved in 1918. By the end of World War II, colonialism had ended. Profound peace movements, and anti-militarist feelings, have proved durable in the World War II aggressor nations of Germany and Japan. Nuclear weapons, used by the U.S. to force Japanese surrender in World War II, have now spread to many nations and, along with chemical and biological weapons, pose huge dangers to mankind. Is the cause sufficient that I would send my own children into danger? Are our genuine national interests at stake, or is the situation marginal? If those questions had been applied by prior presidents, the U.S. would have been at war less frequently than it has been. In fact, most of our involvements, after the fact, are hard to justify. The United States would not exist without the Revolutionary War. Yet some historians would argue that, over time, the American colonies would have gotten independence without war. There was a tide in the affairs of men at the time, however, which would have been difficult to resist in 1776. The War of 1812 was a war of bald aggression. We attempted to conquer Canada and were driven back. The Mexican-American War, too, was one bred by territorial ambition. Historians have pointed to many instances where the Civil War might have been averted. Yet, just as the drive for independence seemed inescapably to lead to the Revolutionary War, so does the institution of slavery seem a reason that conflict between free and slave-holding states was destined to end as it did. The Spanish-American War, promoted by William Randolph Hearst and political hawks, also was a war of conquest, although it was sold as liberating oppressed Cubans from Spanish tyranny. We got the Philippines as a colonial bonus. President Woodrow Wilson pledged to keep us out of World War I. But skillful British propaganda and largely phony atrocity stories drew us into it anyway. Wilson’s post-war proposals left us the heritage of a Wilsonian foreign policy — one leading often to self-righteous military interventions justified on moral grounds — which has gotten us involved, in the decades since, in conflicts where we had little directly at stake. Wilsonianism has been practiced by presidents of both political parties, most recently and damagingly in Iraq. World War II, it can be argued, was inescapable for us — especially since Imperial Japan and Nazi Germany were more than just territorially ambitious nations. Their brutality and genocide had to be stopped. Yet the war did not flow unexpectedly from a Japanese attack on Pearl Harbor. It could be seen coming for at least a decade, during which time we and other western nations chose to overlook the obvious. Hitler was waging war in Europe more than two years before we entered, Japan far earlier than that in Asia. Finally, a U.S. embargo of Japanese oil imports (thus choking the Japanese economy) brought Japan to its desperate gamble at Pearl Harbor. There were at least a dozen junctures during the 1930s where concerted, multilateral action might have stopped World War II. But financial/economic crisis in their home countries caused other national leaders to conveniently turn away. The Korean War took place only after Secretary of State Dean Acheson stated publicly that Korea did not lie within the American defense perimeter, thus sending a dangerous signal to North Korea that resulted in its invasion of the south. Vietnam, we now know, was a totally unnecessary war. I served in the White House during that period and witnessed the mistakes and miscalculations which brought and kept us there. The Geneva Accords, following French colonial withdrawal, provided that Vietnam should be one country, its leadership chosen by free elections. We and our allies misread the situation and breeched the accords, setting up a South Vietnamese puppet government. Many billions of dollars and thousands of American and Asian lives later, Vietnam is one country with good relations with the United States. Interventions in Lebanon, Somalia, Central America, the Dominican Republic, Haiti, and the Balkans all had their justifications at the time. But now, only the Balkan intervention seems to have been worth it. Iraq, if weapons of mass destruction were indeed present there, was a close call. But without the presence of such weapons, there was no reason for that intervention. The Bush administration leapt to war before it knew definitely if the weapons were there or not. We are in Afghanistan because we had to be, post 9/11. Looking backward, this democratic, avowedly peaceful country has been to war many times, at great human and other cost, often without measuring carefully the alternative options. The young men and women we honor on Veterans Day paid high prices for what often were political blunders. After the Vietnam War, many American vets came home to scorn — as if what happened there was their fault. Fortunately, our Iraq War and Afghanistan vets are receiving the honor they deserve. They deserve it especially because they are volunteers. They are not involuntary draftees but troopers who saw their duty and stepped forward to do it, just as police officers, firefighters, emergency workers, nurses and other front-line servers step forward in their jobs. During my years in Washington, D.C., I made it a point to visit once annually all the monuments on the Mall. I was particularly moved during these visits by the Lincoln Memorial, where President Lincoln’s powerful, sad, all-knowing face appeared to reflect the terrible sacrifices of his presidency; the Vietnam Memorial, where 58,000 names of the dead were etched in the stone; the Korean War Memorial, where statues of isolated, trudging GIs typified the kind of war it was; and of the Vietnam nurses memorial, from which empathy seemed to radiate. The veterans we honor today — especially the fallen — were fathers and mothers, sons and daughters, many just kids getting their start in life. Those who survived war nonetheless lost years of their lives to it. Some received physical and psychological wounds from which they never will recover. This is our saddest but most worthy holiday. No fireworks today. Just quiet remembrance of sacrifice which cannot receive sufficient honor. 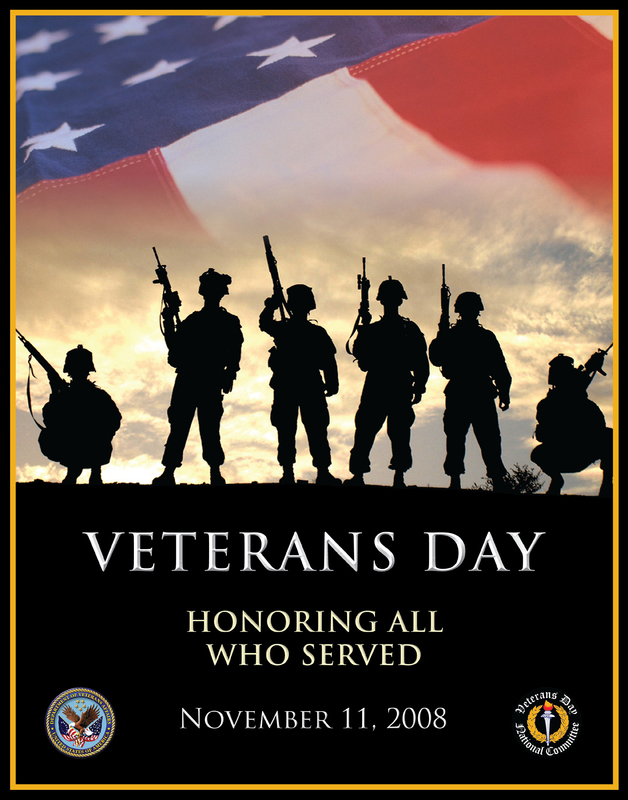 God bless our vets and those now serving who, in time, will become vets. © 2008 Crosscut LLC. All rights reserved. ← Will ALL Those Deep Secrets Be Revealed Now?